Sometimes, it can be hard to resist a deal. Unfortunately, that low-priced stereo system or car that seemed “too good to be true” probably was too good to be true. More importantly, it might have been against the law. One of the most common theft offenses in New Jersey is Receiving Stolen Property. This law exists so that it will be more difficult for real criminals to sell stolen property. As a result, anyone who knowingly accepts stolen property could face felony charges and be subject to severe penalties, including imprisonment. However, if you did not realize that the property was stolen, an attorney might be able to raise a valid defense to this charge. You can count on the attorneys at our firm to do whatever it takes to win your case. We have successfully represented countless clients facing theft charges in Essex County, NJ, including Livingston, Fairfield, and Nutley. A large part of our success in the courtroom is because we have unique insight into how prosecutors think: our litigation team includes a former county and municipal prosecutor. Additionally, the firm’s founding partner, Travis J. Tormey, has experience working for two of the largest law firms in New Jersey, so he knows what is needed to get the job done in your Receiving Stolen Property case. Call 201-654-3464 to speak with a member of our litigation team about your Receiving Stolen Property charges. In the meantime, please view our Successful Theft Crime Verdicts and Settlements page. Receiving Stolen Property is governed by N.J.S.A. 2C:20-7. A person is guilty of Receiving Stolen Property if they knowingly receive or bring into New Jersey movable property that belongs to someone else. 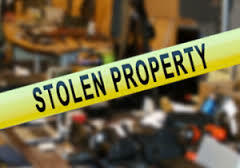 Even if the offender does not know that the property has been stolen, they may be charged with Receiving Stolen Property is they believe that it is probably stolen. You have been found in possession of two or more items of stolen property on two or more separate occasions. You have received stolen property in another transaction within the past year. You are in the business of buying or selling the property in question. You are in possession of two or more defaced access devices. If you or a loved one has been accused of Receiving Stolen Property, it is imperative that you take immediate action to fight the charges. The experienced lawyers at the Tormey Law Firm can help you. Call us today at 201-654-3464 to discuss your case, or fill out the online contact form to schedule a free consultation at our Newark office.